Voice-activated assistants and other similar devices are all the rage these days, allowing people to easily access their favorite music, look up the weather or the best restaurant close by and a provide a whole bunch of other really cool services. And while it’s convenient to ask Siri how to get to the ballpark or have Alexa turn on the lights in your home, there is evidence that these devices may be doing much more—including listening to and recording your conversations. According to an article on Consumer Watchdog, devices like Alexa and Google Home are eavesdropping on people all over the country. Their defense? These devices were created to make life easier for folks and personalize their experiences. So by listening in, Amazon and Google are able to build a profile on consumers, including everything from your favorite foods, music, hobbies—to when you eat dinner and how many times you flush your toilet. And, once they have this information they can customize services and advertising targeted directly at you. Devices are awake—even when you think they’re not. Although digital voice assistants are activated by a certain command, for example, for Google it is “Ok Google” and for Echo it is “Alexa”, research shows that very often they are actually awake by the sound of your voice or a simple sentence unintended to activate them. When this happens the device may record your conversation and transmit it to the cloud—consumer agencies stated that Google keeps copies of these clips each time. If this all seems relatively harmless to you, consider the case of the couple whose private conversation was recorded and then sent to one of the contacts in their address book or the many incidents of accidental orders made when a voice assistant misheard a command. Another incident involved the accidental recording of a woman giving the passcode to her home’s back door to a friend. If the fact that your smart device is recording you makes you uneasy, you should also know that hackers can find their way into your saved recordings and use them to access personal information. In fact, experts say that hackers need only a snippet of your voice to copy it and compromise a device or even trick another human being. 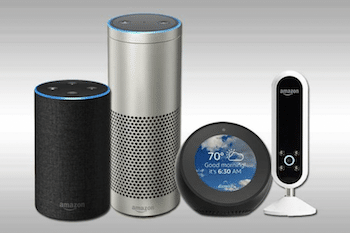 And it is believed that the threat of breaches will increase as the technology becomes more advanced; voice assistants can already make phone calls and order items on your behalf. It can be daunting to think that everything you’re saying and doing in your own home is being recorded and stored in cyberspace. But for those who still want to enjoy the convenience of this smart technology, it’s best to take some precautions. It’s recommended that you turn off the microphone on your device when you are not going to be using it and change the default settings including the WIFI password and account name. If possible, create one network for your voice activated device and another for devices you use to do banking and shopping. It’s also a good idea to set up a firewall to restrict who and what can connect to the network. You can also change your wake word to a word that you aren’t likely to use in regular conversation. Protecting your identity and your personal information becomes more and more challenging as technology becomes more advanced. And although voice assisted and other smart devices make certain tasks easier and more convenient, they can also put you at risk for identity theft. Be sure to follow the tips above to keep your confidential information safe and talk to us at All Points Mobile Shredding to set up a shred at your home or office. We serve residential and commercial clients throughout the Treasure Coast as well as Okeechobee, Palm Beach, and Broward Counties. ← Does your business have a document retention schedule?